Writing groups can have a lot of benefits. 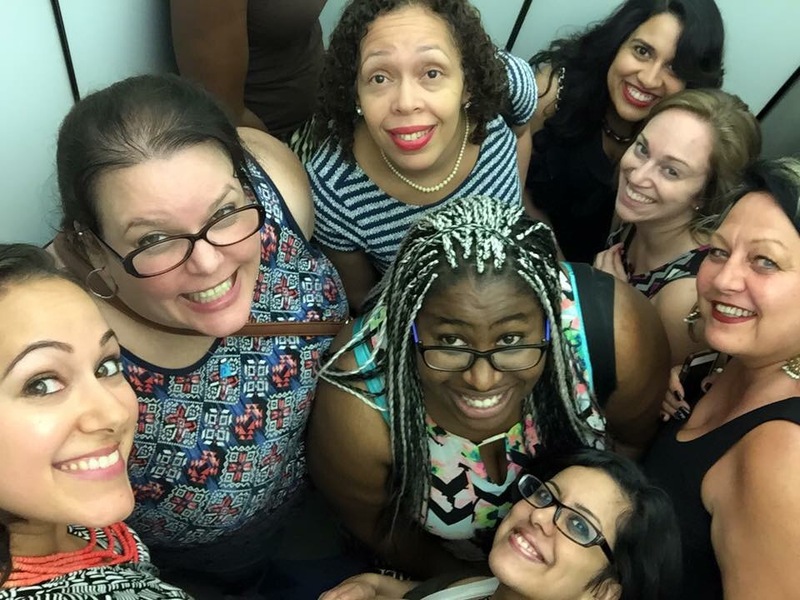 At the moment, I’m part of a writing critique group, a member of the NYC chapter of Romance Writers of America (RWA) and I have any number of writing buddies. I also participate in multiple weekly Twitter chats for writers. One of these chats spawned a weekly Google Hangout with three other writers. 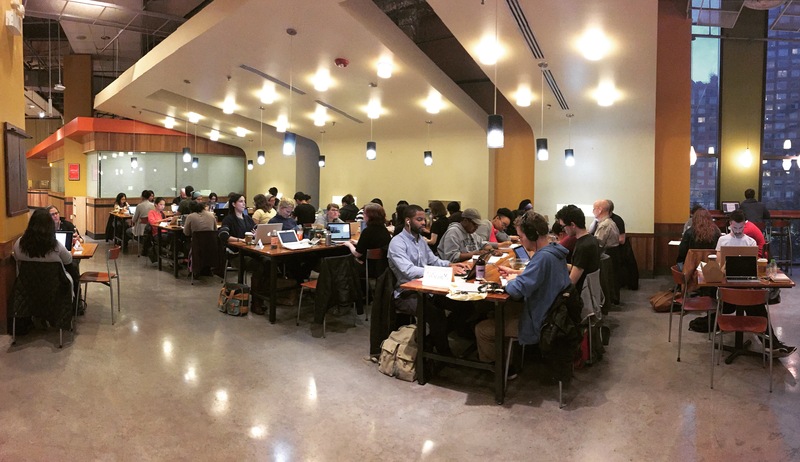 In addition, I’m a Municipal Liaison (ML) for National Novel Writing Month (NaNoWriMo), which means I’m part of a small team of volunteers who run writing events in-person and online. My critique group makes me a better writer. Not only do I receive feedback on my own work, but critiquing someone else’s work in a group awakens me to my own writing flaws and exposes me to other styles of critical reading. For example, I might make notes on characterization, but when someone else in the group comments on pacing, I can learn something from that, too. Joining RWA and attending my local chapter meetings has introduced me to writers at all stages of their careers, and taught me a great deal about the industry. It has also allowed me to expand my network and has provided me with valuable resources. Twitter chats* are an effective way to build interaction and engagement while providing value for your followers. They’re also a lot of fun. I’ve met some great people through chats, and I enjoy participating in them. Some would probably say I take part in too many, but #sorrynotsorry. I really like them. 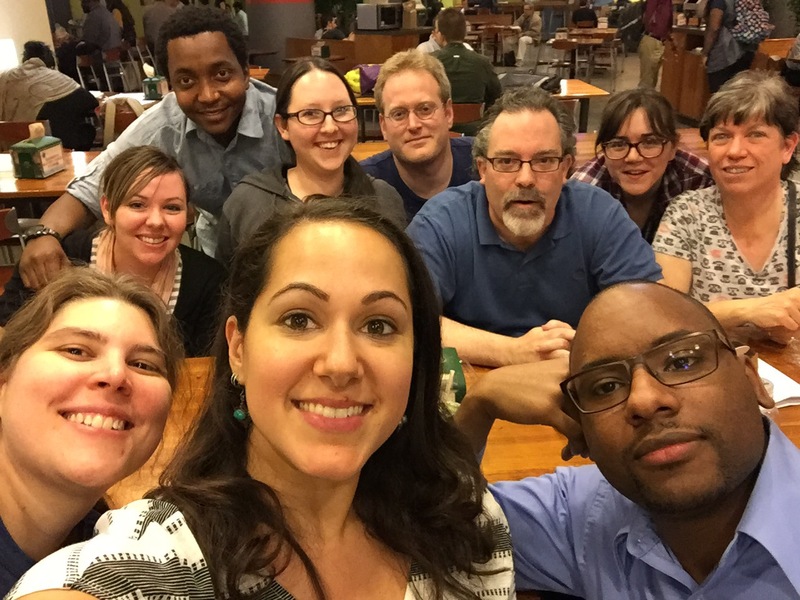 My Hangout group developed out of #RWchat. Our video calls sometime go on for a few hours. We go deep into whatever projects we’re all working on, and help each other move past obstacles that arise. We read each other’s work and cheer each other on. I’m so grateful to have found them. NaNoWriMo has had a huge impact on building my group of friends. I’ve met amazing people through participating in this yearly event. (Every November since 2004!) During the years when it was harder for me to write (school, work, life, etc), the built-in community and support kept me going. 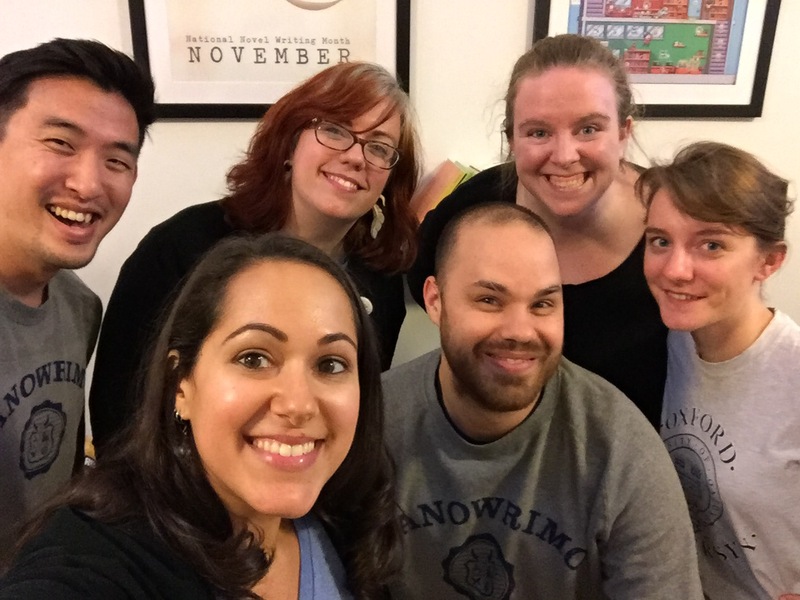 I have writing buddies and strong friendships that evolved out of the NYC NaNo community. Being part of so many writing groups and communities has provided me with support from all sides. When I decided to take writing more seriously, my groups made it easier for me to stick with it. Being able to talk to others about what’s going on with my writing – and in turn provide support for them – keeps me involved, engaged, and most importantly, keeps me writing. Are you part of any writing groups? What benefits have you found? Sounds fun. I’ll look into the Twitter chat option. 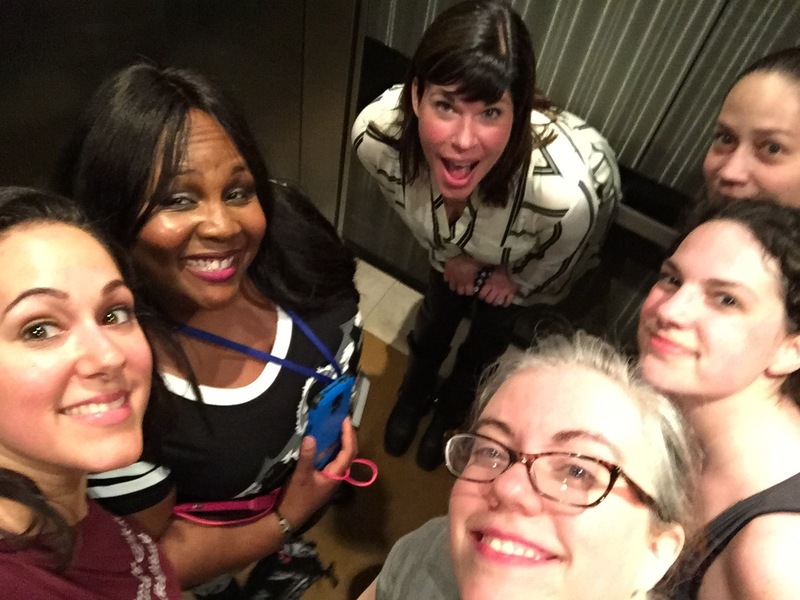 Love the elevator selfies! Thank you! There’s also #azchat every Thursday 9pmEST.